Instagram today announced two new features for its mobile app that expand how people can share photos and videos. First, the social network is marking the debut of live video within Instagram Stories. 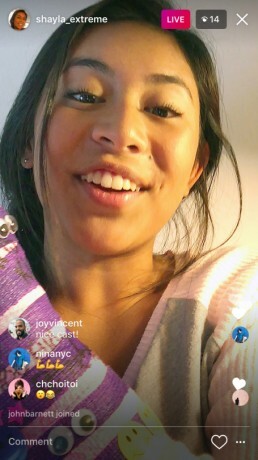 Users can now broadcast live video to their followers through the Stories section of the app. Followers may opt to receive notifications when people share live video, and live video will be visibly earmarked as such. People will be able to leave comments throughout the video's duration, but live video is not stored or saved in users' feeds. Instagram says live video will be added to the Explore tab, too, allowing people to browse through live video that's being shared from around the world. In a move to combat Snapchat, Instagram is now allowing users to send disappearing photos and videos through its Direct Message function. Ephemeral media can be sent to individuals as well as groups, and creators will know when their photo/video has been seen and/or screen-captured. Once the content is viewed by the recipient, it disappears from the recipient's inbox and cannot be replayed. Instagram says disappearing photos and videos can only be sent to people who follow you. Disappearing content shared with groups will allow members to all see comments and responses. Instagram says the live video tool is rolling out globally over the next few weeks, while the disappearing photo/video feature is reaching all users today. Instagram is free to download from the iTunes App Store and Google Play Store.